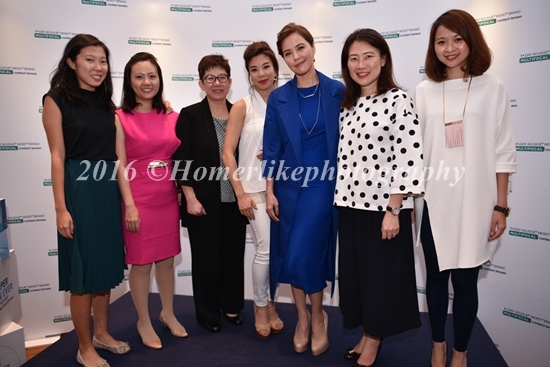 Weeks before MediaCorp Star Awards (红星大奖) 2016 , Zoe Tay (鄭惠玉) shared a problem that has been bothering her, with media and guests at an event organized by ACUVUE®. The Queen of Caldecott Hill, Zoe Tay (鄭惠玉) recently discovered that she has Presbyopia (long sightedness; 老花眼) and was initially concerned about her condition until she learned that it was part of her graceful ageing process and thankfully not a disease. On April 13th, unveiled as the ACUVUE® brand ambassador for 1-DAY ACUVUE® MOIST® Brand MULTIFOCAL range, the latest addition to its extensive portfolio of contact lenses, Zoe Tay (鄭惠玉) shared her uplifting message of living sharper than ever as individuals approach the prime of their lives – their 40s. Initially was too embarrassed to ask for bigger font on acting scripts, Zoe Tay (鄭惠玉) has had to managed the stress of Presbyopia (老花眼) secretly while juggling between work and her family. She shared an incident where she felt bad having to take a long time to read the menu at a dimly lighted restaurant and ignored her children in the progress. 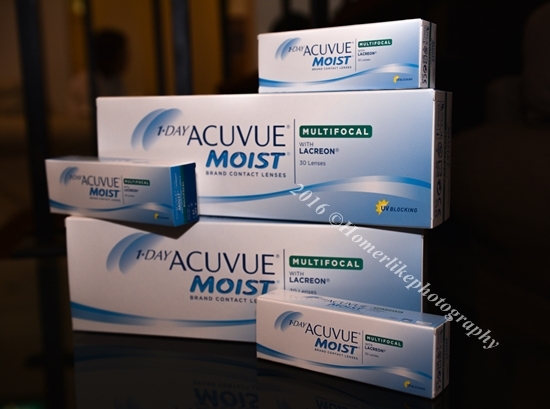 Fortunately through her Optometrist (验光师), Zoe Tay (鄭惠玉) found her savior in was 1-DAY ACUVUE® MOIST® Brand MULTIFOCAL and no longer has to struggle to read. Prior to meeting Zoe Tay (鄭惠玉), media and guests were first brought through an experiential journey beginning with Zone 1 that highlighted the key milestones individuals in their 40s could embrace unhampered by aging issues, before moving to Zone 2 which brought them up close with what their world could like with Presbyopia. The session finally took a deep dive into the science behind Presbyopia and the ACUVUE® range of multifocal contact lenses with Sabrina Hsieh, Head of Marketing for ACUVUE®, Shirley Loh, Johnson & Johnson Vision Care, Associate Director of Professional Affairs and Oh Shwu Ji, Store Manager & Optometrist of Specialist Eye Care Centre. Let's wish Zoe Tay (鄭惠玉) success in her Star Awards 2016 Best Actress nomination tonight.